At a recent town hall on the opioids crisis in Maryland, Carmen Skarlupka picked up a microphone and told the story of her daughter’s death. “How does your child die? Mine was on the floor of a bar bathroom in an overdose, on fentanyl,” Skarlupka said. 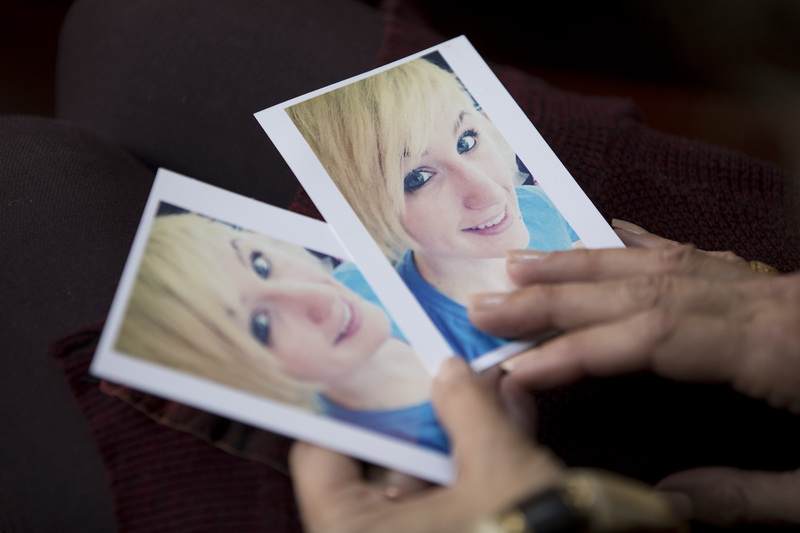 Her daughter, Samantha “Sam” Prouty, was 26 when she overdosed in April. The town hall, put together by WAMU and hosted by Kojo Nnamdi as part of the Kojo Roadshow series marking his 20th year on air, showcased a community wrestling with the human costs of the continuing opioid epidemic — and of a county aiming to respond proactively to a complex and evolving crisis. Prouty is just one of the 151 opioid-related deaths in Anne Arundel County this year. But her story — and her mother’s — illustrate the challenges facing the county, as well as provide some reason for hope. Sam was on the autism spectrum. She was bullied as a child, and she was sexually assaulted at a daycare center when she was eight years old. Her first emergency psychiatric evaluation happened the same year, the result of an in-school mental health care assessment that concluded that she was a suicide risk. Since that time, Samantha had 19 in-patient psychiatric hospitalizations throughout the state of Maryland. 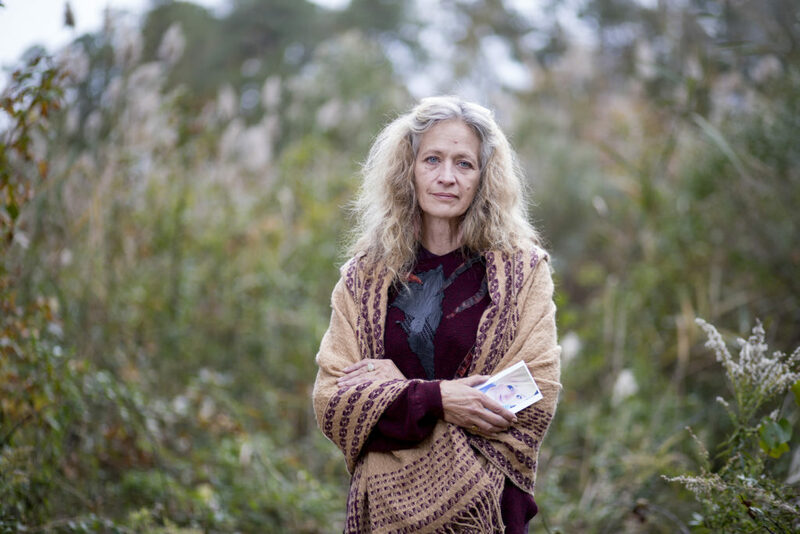 Over the course of her life, Sam was on a total of 40 different psychotropic medications. She also cut herself. On top of her mental health challenges, Sam was hit by a car when crossing the street in 2016, sustaining a traumatic brain injury and many fractures. “We still hadn’t finished taking care of all the surgeries for that when she passed,” Skarlupka says. She remembers Sam — who was already on morphine at the time — telling the surgeon at the shock-trauma unit in a Baltimore hospital not to give her opioid painkillers, because she was in addiction recovery. At the Celebration of Life held to mark Sam’s death, Skarlupka found out that prescriptions were not the only drugs Sam started taking early. She says a guest at the event confessed to doing heroin with Sam when she was just 14 years old. It’s a tragically common story: a prescription for a narcotic painkiller that leads to addiction and, ultimately, to illegal drug use. In fact, that’s the trajectory of Skarlupka’s son, who is currently in recovery from an opioid addiction developed after being prescribed painkillers for a string of high school sports-related injuries. But in Sam’s case, the interplay between the two was less linear. Skarlupka described a cycle in which her daughter would begin using illicit substances when there were gaps in her legal medications, many of which required days or weeks of use before they would have an effect. If she forgot to fill her prescription, or switched medications — which happened every nine months or so — Sam would seek out an instant heroin high to fill in the gap. “She self-medicated because opioids work right now,” Skarlupka said. Experts in Anne Arundel County say that understanding and treating the tangled web of substance abuse and mental health challenges is one of their top challenges. Leonard Wood, a peer support specialist with the Anne Arundel County Department of Health and a recovering user who has been clean since 1998, suggests that the system should try to prioritize treating the mental health side of the equation. “I believe that if we could treat that, then the addiction piece would be easier,” Wood said. County Crisis Response Director Jen Corbin agrees. “When I ask someone in middle school or high school why they’re using, and they say ‘To make me feel better.’ And then we have to ask them, ‘Why do you have to feel better?’ That’s the piece that’s missing a lot: how do we get you to that point where you’re feeling good and not having to use drugs?” Corbin said. If Sam Prouty’s story is any indication, the answer to that question is wildly complex. But in Skarlupka’s view, Anne Arundel County’s response to the opioid epidemic is moving the county a step closer to addressing one of the biggest hurdles: what happens the moment someone decides to seek treatment. In April 2017, the county instituted the Safe Stations program, inspired by similar program piloted in New Hampshire, which opens all fire and police stations to people seeking help with drug addiction, 24 hours a day, seven days a week. When a user shows up at a Safe Station, they are evaluated for any immediate medical needs, and then taken to the hospital or made comfortable at the firehouse. In either case, one of Jen Corbin’s crisis response teams of mental health clinicians is dispatched to meet the patient, who’s then offered a range of detox and treatment options. About 1,300 people have shown up to ask for help since the program’s inception, according to Allan Graves, the county’s fire chief. 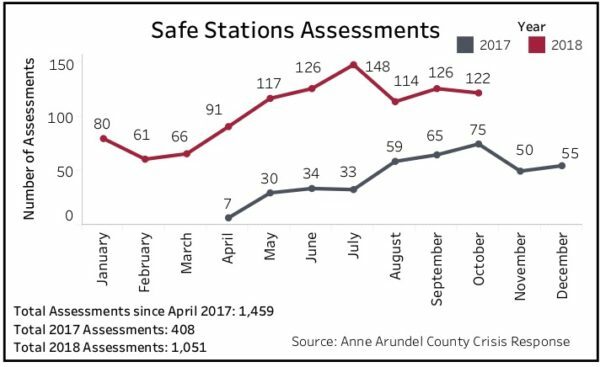 Safe Stations visits have risen steadily since the program was implemented last year. Safe Stations began as an attempt to offer help to people where and when they want it. But Skarlupka says it has an additional benefit: a slate of services at the moment they are needed, and crucial help in accessing them. Sam didn’t have that option through much of her addiction, according to Skarlupka. She remembered calling around, desperately trying to find an open treatment bed for her daughter after another relapse. Getting Sam admitted to the hospital was equally challenging. “You had to walk into a hospital with a substance use disorder — you had to be currently using, with it in your system — or you had to convince the medical team that you were suicidal. That was the path to treatment and recovery,” Skarlupka said. Even if the Safe Stations program has made some inroads into the crisis, there are other complex issues that remain, even as the epidemic itself evolves. Fentanyl — a synthetic opioid that’s far more powerful than heroin — is increasingly prevalent. Overdoses on fentanyl are more likely to be fatal. As a result, while the county’s total overdose numbers are slightly down, the death rate is up. Leonard Wood says that fentanyl makes today’s crisis different from drug epidemics in the past. “Growing up in East Baltimore, I’ve seen a lot of things, but I’ve never seen anything like this,” he said. There’s another enormous challenge facing jurisdictions that are seeking to disrupt the epidemic: the stigma that comes with substance abuse, which pervades how and when people are able to access treatment. “If we have this constant stigma that drug users are offenders, that they’re morally afflicted, we’re never going to be able to treat people where they are,” said David Stup, one of the founders of Maryland House Detox. Beyond that, stigma affects whether or not people ask for help, says addiction psychiatrist Jim Gandotra. Sam was deeply ashamed of her struggle with substance abuse. Leslie Lunkenheimer, whose daughter struggled with addiction for a decade, said that her family also struggled with isolation as they tried to cope. “When my daughter first went through this, I felt very alone. I didn’t know anyone else [whose kid] was addicted to oxy and then to heroin. None of my friends or family could relate to that. I couldn’t accept it myself to be honest with you,” she says. “Even now, I still worry about what people think. And it drives me crazy that I’m this way,” Lunkenheimer said. Skarlupka said that the stigma against opioid addicts extended even to Sam’s death. When Skarlupka arrived at the hospital where Sam had been taken after overdosing on fentanyl at a bar, she saw her daughter’s body, naked, still intubated, and smeared with blood. At that same moment, Skarlupka says she was being asked questions by three police officers, who had seen her daughter’s last text message to her and appeared to assume that she was Sam’s drug dealer. Perhaps the most searing example of the stigma and isolation that Skarlupka faced happened after Sam’s death, when she tried attending a support group for bereaved moms. Losing a child to drug addiction was her own experience, but not necessarily that of the others. Very few other mothers could understand the combined grief, guilt and sense of relief she felt. Both Skarlupka and Lunkenheimer have participated in panel discussions put on by the Anne Arundel County Department of Health in an attempt to educate the wider community about addiction and the opioid crisis. County leaders stress the importance of fighting the shame and stigma of addiction with public education efforts. Lunkenheimer says her sense of isolation has lessened as the problem has become more visible and more broadly discussed. Skarlupka, for her part, is deeply invested in the recovery community in the county, along with her son, who is in recovery himself. The family established the Samantha Prouty Memorial Fund in honor of Sam, and plans to open a recovery club house and, further down the line, a recovery-oriented high school. And, this Thanksgiving, they plan to open their home to people struggling with addiction.